sccpaaa.org | Smithtown panel to tackle VET’S Information issues. Smithtown panel to tackle VET’S Information issues. 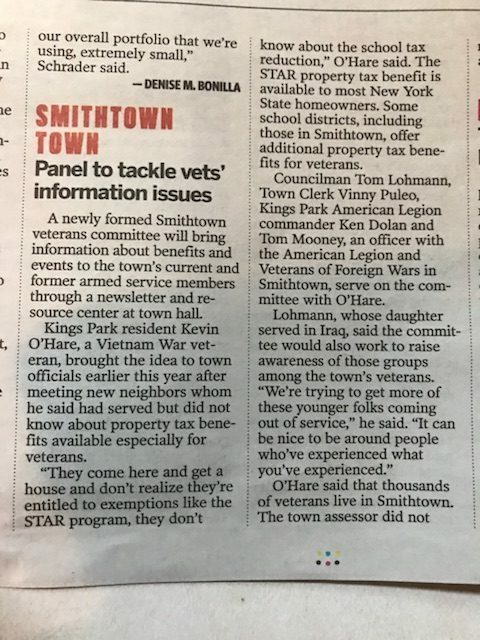 Kevin O’Hare, President of SCCPAAA, sparks Smithtown Town panel to tackle VET’S Information issues. Thank you Kevin, and all of our veterans, for their service to our country.